You've played the game, now bring it to your walls! 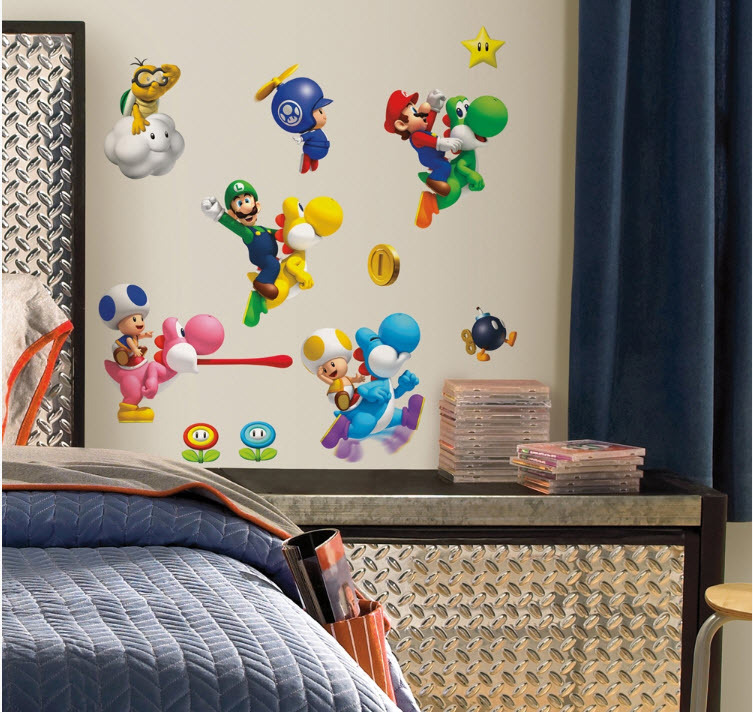 These wall decals feature Mario, Luigi, Toad, Yoshi, and more of your favorite characters and items from New Super Mario Bros. Wii. Nintendo fans of all ages will love having these fun stickers in their bedroom or gaming area. To apply, simply peel each pre-cut sticker from the liner and smooth it on the wall. It's that simple! Since RoomMates are removable and repositionable, you never need to worry about making a mistake or peeling away the paint when you want to move the design. For even more Nintendo action, check out the coordinating giant New Super Mario Bros. Wii Penguin Mario wall decal. This product is printed on clear material to allow edges to blend into walls, but inner portions of the design are opaque. Suitable for any wall color. • Decals range from 2" x 2" to 7" x 10"